HEARTS UNDER-20s made it two draws from their opening two games as they were held 0-0 by Kilmarnock at Stenhousemuir. 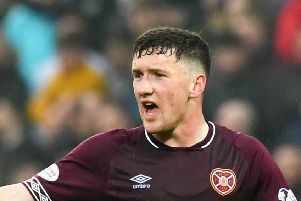 The young Jambos, who drew 2-2 with Rangers in their season opener, came close in the first half through Kevin McHattie and Jordan McGhee efforts, while Dario Zanatta forced Killie goalkeeper Oliver Davies to push a header over the top. On 40 minutes, Hearts trialist Shaun Rooney almost broke the deadlock, but his header clipped the crossbar on its way over. Within minutes of the restart, Rooney powered a further header against the crossbar with a Gary Oliver shot from the rebound blocked on the line. Hearts goalie Jack Hamilton had two fine saves from Aaron Splaine and Dean Hawkshaw on the hour mark before he produced a fine double -stop on 71 minutes from two close range efforts from Jack Whittaker and Adam Frizzle. McHattie then almost won the points in the closing minutes with a powerful shot that just cleared the crossbar. Hearts: Hamilton; Rooney, McGhee (Jones 76), Howlett-Mundle, McHattie, L Smith, McKirdy, Anderson (McLean 52), I Smith, Zanatta (Morrison 66), Oliver. Subs: Mason, Baxter, Flanagan, Baur.